The term “Impressionism” was coined in 1874 when critic Louis Leroy accused Claude Monet’s Impression, Sunrise of being simply a sketch (or “impression”, as its title suggests) rather than a finished work. In “The Exhibition of the Impressionists”, a particularly biting review of Monet’s painting, Leroy wrote that “wallpaper in its embryonic state is more labored than this seascape”. Impression, Sunrise was part of a Parisian exhibition that displayed the works of independent French artists, including Edgar Degas, Berthe Morisot, and Pierre-Auguste Renoir. Despite Leroy’s criticism, “Impressionism” became a favourable term to recognize not only this particular group of artists, but also an artistic style characterized by depictions of contemporary life, rapid brushstrokes, bright colours, and an emphasis on capturing light. As an artistic movement, Impressionism was not restricted to France alone. 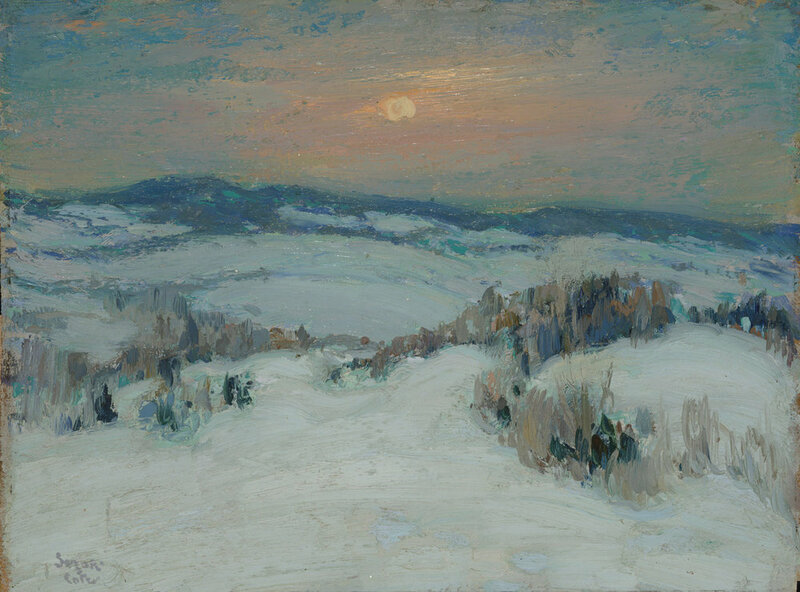 In fact, it influenced many painters working within Canada’s art scene and generated a distinctly Canadian form of Impressionism in the late 19th and early 20th centuries. So how did Impressionism take hold in Canada? How was it received here? And how did Canadian Impressionism distinguish itself from its French counterpart? Find out the answers and join in on the discussion this Sunday at “Impressionism in Canada”, Dalnavert’s lastest lecture with Inés Bonacossa. Join Inés on a journey from the origins of Impressionism in France to its development here in Canada and take in plenty of beautiful paintings along the way. For full details on the lecture, visit the event page here. While our lecture doesn’t take place until Sunday, you can get a head start and acquaint yourself with the Impressionists right now! Below are a few examples of both French and Canadian Impressionist paintings. Do you notice any similarities or differences in style between the two groups (ie. lighting, brushstrokes, colour)? Is the subject matter the same? What makes the Canadian landscape so distinct?